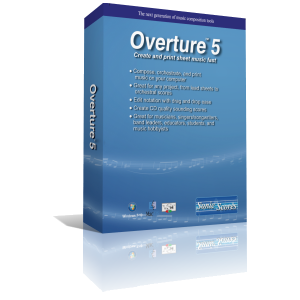 Overture is easy-to-use notation software that’s powerful enough to satisfy the needs of today’s professional musicians and composers. You can quickly enter notes on-screen with your mouse or computer keyboard, or record a MIDI performance for instant viewing. Overture’s intuitive interface puts powerful editing tools and symbol palettes at your fingertips, so you spend time composing music instead of searching through menus. 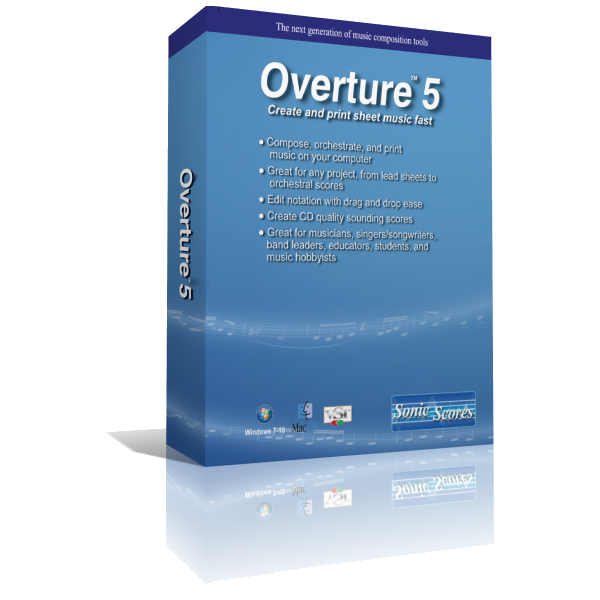 For complete orchestral arrangements, lead sheets, individual cues or even simple notation examples, there’s no faster way to create professional notation than Overture.